President Donald Trump gives a thumbs-up after arriving on Marine One on the South Lawn of the White House in Washington, Friday, Feb. 8, 2019. 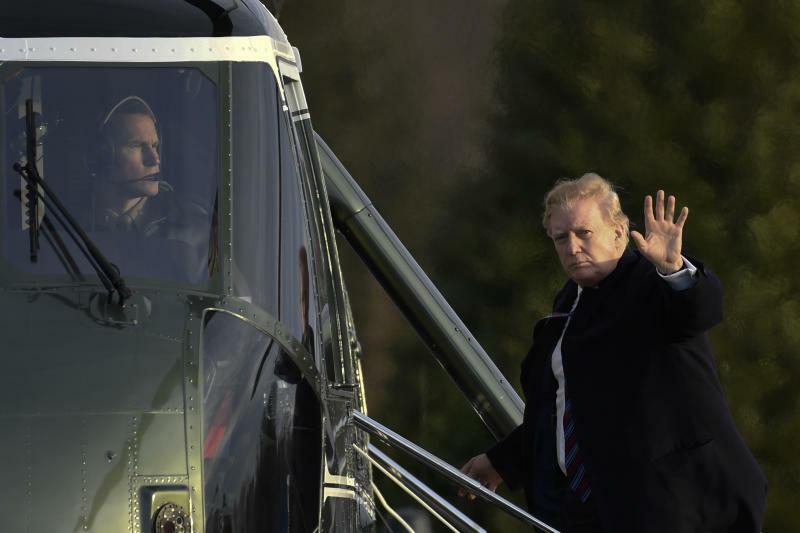 The President was returning to the White House after his annual physical exam at Walter Reed National Military Medical Center. 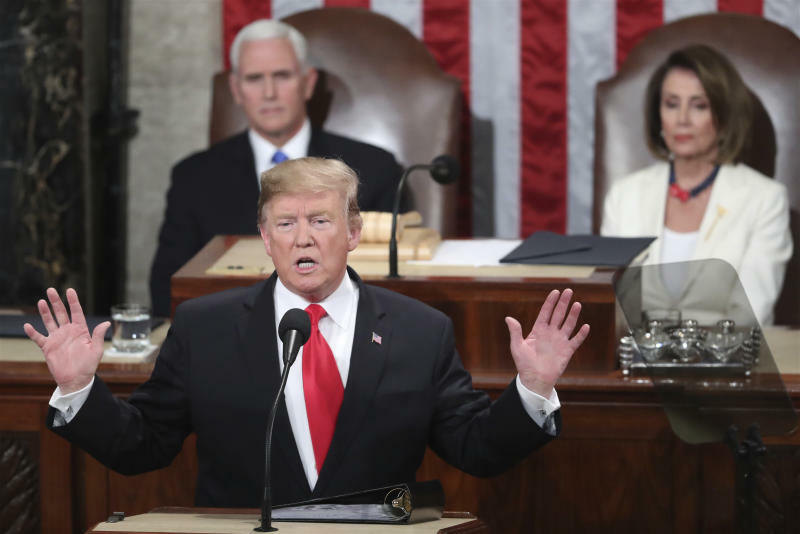 (AP Photo/Carolyn Kaster)WASHINGTON (AP) — President Donald Trump said Friday that he will hold his second summit with North Korea’s Kim Jong Un in Hanoi and predicted that the authoritarian country would someday become „a great Economic Powerhouse” under Kim’s leadership.In a pair of tweets, Trump praised Kim and said his representatives had just left North Korea after a „productive meeting” on the Feb. 27-28 summit.Trump added, „I look forward to seeing Chairman Kim & advancing the cause of peace!”The president had previously announced Vietnam as the summit location, but the city hadn’t been identified. It will be the pair’s second summit, the first coming last June in Singapore. 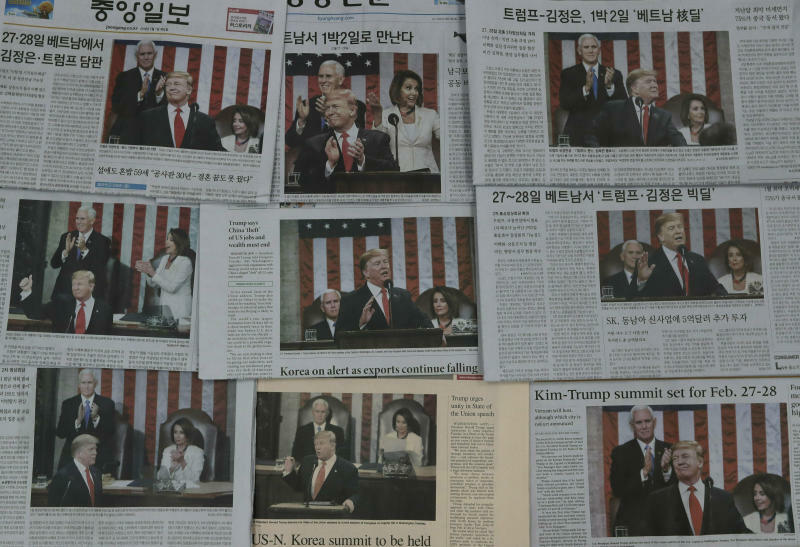 Kim pledged then to work toward the „complete denuclearization” of the Korean Peninsula, without providing a clear timetable or roadmap.While in Asia, Stephen Biegun, the U.S. special representative for North Korea, is thought to have discussed specific disarmament steps that Pyongyang could promise at the Vietnam summit and what corresponding measures the United States is willing to take.In announcing the location of their second meeting, Trump showered praise on Kim, whom he used to derisively call „Little Rocket Man.” Months after their Singapore summit, Trump said that Kim had written him „beautiful letters” and that the two „fell in love.””North Korea, under the leadership of Kim Jong Un, will become a great Economic Powerhouse. He may surprise some but he won’t surprise me, because I have gotten to know him & fully understand how capable he is. North Korea will become a different kind of Rocket – an Economic one!” Trump tweeted Friday. 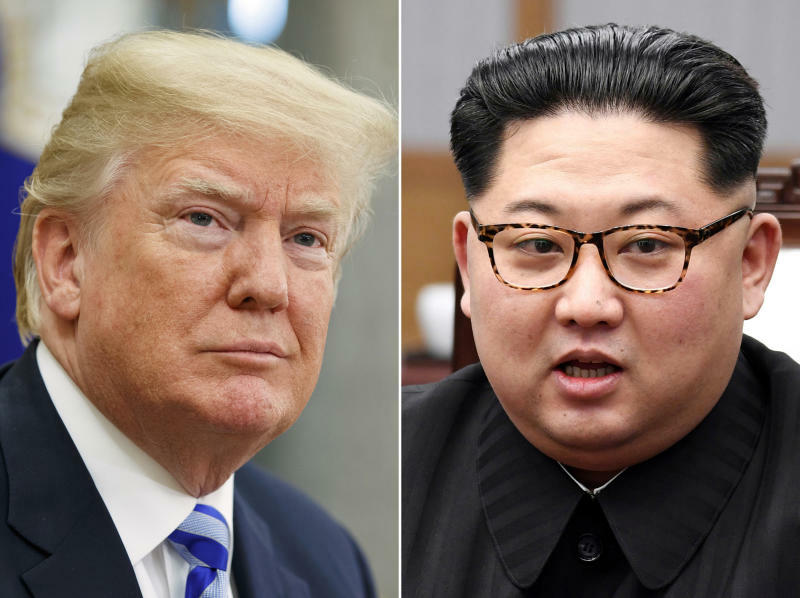 SEOUL, South Korea (AP) — South Koreans, always deeply divided over how best to deal with their often-belligerent northern neighbor, are reacting with both hope and wariness to President Donald Trump’s announcement that he will hold a second nuclear disarmament summit with North Korean leader Kim Jong Un. „Denuclearization will be difficult because North Korea wants to keep nuclear weapons, and the United States wants them all gone,” Lee Sang-won, a 68-year-old retiree, said Thursday at a bustling Seoul train station. On Thursday, Trump’s special envoy for North Korea, Stephen Biegun, held a second day of talks with officials in Pyongyang, North Korea’s capital, to hammer out summit logistics and an agenda. Biegun is expected to come to South Korea to brief officials as early as Friday. Moon’s office said Wednesday that Seoul hopes Trump and Kim will make „concrete and substantial progress” in their talks in Vietnam, but few other details were released. Ahead of his visit to the Koreas, Bigeun said last week that Kim had committed to „the dismantlement and destruction of North Korea’s plutonium and uranium enrichment facilities” during a September summit with Moon and at a meeting with the U.S. secretary of state in October. „If both sides agree on the declaration, verification and dismantling of the Nyongbyon nuclear facility, we can say that it was a successful summit,” Shin said. 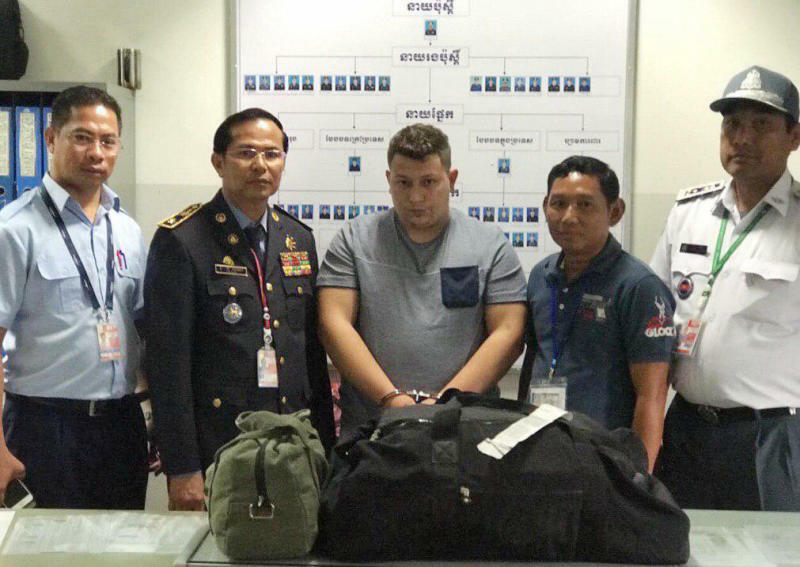 Deputy National Police Chief Mok Chito said police on Wednesday found the drug in four plastic packets in luggage belonging to Romanian Narcis-Manuel Olaru at the airport in Siem Reap in northeastern Cambodia. It is a major international gateway for tourists because it is home to the famous Angkor Wat temple complex. Olaru told police four other members of his gang lived in the capital, Phnom Penh, where they were arrested. Mok Chito said the suspects confessed they received the drug from Laos and its ultimate destination was New Zealand, where it would be worth three times its Cambodian value of about $50,000 per kilogram ($22,700 per pound). Much of methamphetamine is produced in the Golden Triangle region where the borders of Myanmar, Thailand and Laos meet, and which has also long been a center for the production of heroin. The illicit drugs often transit Laos for onward shipment to overseas markets. The smuggling is facilitated by porous borders and lax law enforcement. Mok Chito said the arrests came after nearly a month of investigation following a tipoff from Japanese police, who were informed about the gang’s members in Cambodia by an alleged drug trafficker arrested there last month.